May is here and that means longer days, increased energy and more time for networking! Here are six ways to get more out of your CLUB membership (and help other women) above and beyond our many programming events. Invite a friend or colleague to join the CLUB. The more women we have in our community, the more power and connections we have to tap into. Our goal this year is to grow to 500 full members, and we need your help to do so! Many CLUB members are able to get their employers to cover the cost of their membership. b. Membership – Looking to grow your network? Help to drive our membership including recruiting new members, welcoming & onboarding new members, and finding opportunities to increase membership. Please contact membership@theclubsv.org. d. Programming – Got a great idea for a program, or a knack for organizing events? Lead or support organizing one of our programming events! Email programming@theclubsv.org. e. Technology – Help to improve the CLUB’s use of technology including digital events, please contact anu@theclubsv.org. Join a CLUB interest group. Did you know the CLUB has dozens of smaller groups around industry focus, interests and geographic locations? These groups meet from time to time and also discuss topics of interest and also share asks for each other through our online forums. To join a group, log into the secure members-only area of our website at theclubsv.org, edit your profile and under Group participation, check the box of the group you’d like to join. Each group has its own discussion board. You can post new topics, reply to existing discussions as well as subscribe to receive updates when new discussions are posted. Participate on our online discussions or job referrals board on the CLUB’s members only website. There are a number of online discussions including member Good News, and a Job Referral Board. You can post new topics, reply to existing discussions as well as subscribe to receive updates when new discussions are posted by clicking the “Subscribe to forum” link. Have Event Planning Experience? Help us plan our anniversary party which happens every fall. We are looking for 1 to 2 individuals to work with our special events lead to plan and coordinate the event. Please email Kristiane at kristiane@theclubsv.org if interested. Become our Volunteer Coordinator. If you love to connect people, this is the job for you. We are looking for a volunteer 5 to 8 hours per month to help connect our volunteers with open needs. Please email Kristiane at kristiane@theclubsv.org if interested. Demand. Not supply. That’s the driving force behind the low numbers of women on corporate boards. And despite modest gains in recent years, there’s little change in the representation of women and minorities on boards. Catalyst, the leading nonprofit organization accelerating progress for women through workplace inclusion, recently reported that almost 70% of Fortune 500 board seats are still held by Caucasian/white men. Catalyst also reported that the “recycle rate”—or rate at which individuals serve on more than one board—is higher for women and minorities than Caucasian/white men, which indicates that there needs to be a broader net cast to capture “new” women and minorities for boards. In this report, the U.S. GAO finds three factors that may hinder women's increased representation among board directors: boards not prioritizing recruiting diverse candidates; few women in the traditional pipeline to board service (i.e., CEO or board experience); and low turnover of board seats. Companies need to look beyond a CEO title. Instead, they need to look to the skill set that makes a CEO desirable – for example, strategic and operational skills, or P&L experience – and seek out those skills from leaders in other roles, like GMs, functional heads, or other executives. They need to scout out talent that will bring a fresh energy and perspective to a board. They need to identify candidates who will diversify a board’s thinking, and its ability to help oversee and push a company to greater success in the ever changing, and diverse, marketplace. And we’re here to help. 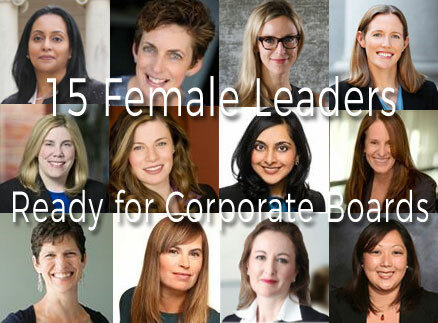 The Women’s CLUB of Silicon Valley has partnered with the Women Serve on Boards movement to showcase highly qualified and successful women, with proven track records in their respective professions, interested in corporate board service. 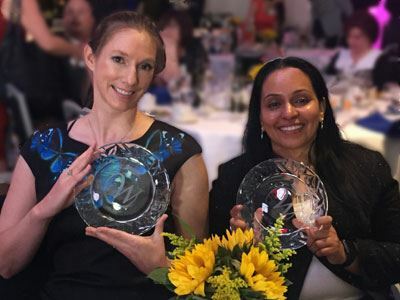 The CLUB provides a unique environment that offers the opportunity for women leaders across industries, and career stages, to connect and build a critical mass of women leaders in Silicon Valley. Experience: Senior Vice President of Product Management and Strategy for Juniper Networks. Previously VP Product Management and Marketing for Storage at Sun Microsystems. Why Denise Shiffman should be on your board: Denise can help you with market expansion strategies, having successfully launched worldwide over thirty uniquely positioned products resulting in more than $2B in revenue. With her deep experience leading customer-focused functions, she can help companies create remarkable customer experiences. She’s also a skilled business strategist who wrote an award-winning marketing strategy and business book, “The Age of Engage: Reinventing Marketing for Today's Connected, Collaborative, and Hyperinteractive Culture,” which received accolades from notable executives including Google CEO Eric Schmidt. Experience: VP Marketing at Freshdesk. Previously, Director of Product at Adobe Systems during its transition from a shrink-wrap software business to a service and subscription model. Why Jill Soley should be on your board: With strong cloud and mobile product and marketing expertise, Jill can help early cloud startups hone their product strategy, product/market fit, positioning, and go-to-market plans. She can also help achieve a seamless end-to-end customer experience. Experience: Former VP of Engineering at Adobe Systems. Former VP of Engineering at Macromedia. Now Advocate for Women in Tech, TEDx speaker on gender diversity in tech, frequent keynote speaker, and author. Member of the Brown University Computing and Information Technology Advisory Council. Also on the Advisory Boards of Brown University’s Computer Science Department Diversity Initiative, The Women’s CLUB of Silicon Valley, WEST (Women Entering & Staying in Technology), and Women Serve on Boards. Why Karen Catlin should be on your board: Utilizing her strong operational leadership skills, deep background in shared engineering services, and experience redesigning software engineering organizations for efficiency, Karen can help companies scale during periods of growth. She can also help companies respond to seismic shifts in the tech industry, leveraging her 25+ years of experience responding to changes in software business models, product security strategies, outsourcing of talent, and the growing pressure for workforce diversity. Experience: Business Litigation Partner at Farella Braun + Martel. Board Member for Mammoth HR (HRAnswerLink) and Board Member of Berkeley Law Alumni Association. Why Carly Alameda should be on your board: Carly has a knack for not only asking the right questions but also coming up with strategic solutions to the complex challenges. She manages business risks proactively and pragmatically as a result of her broad experience in business litigation and as a board member of a private company. Experience: CEO of Seeker Health, a digital health company that connects patients to clinical trials and approved treatments. Previously Vice President of Strategic Marketing & Commercial Planning at Nora Therapeutics, and Executive Director of Product Development at BioMarin. Writer for The Huffington Post. Why Sandra Shpilberg should be on your board: Sandra has extensive leadership experience and deep knowledge of the health and medical industry. She can help health and medical companies locate and engage patients, develop strategies to accelerate product development, and design "radical collaborations" between health and patient groups. She has a unique understanding of how to use social media and digital advertising to engage patients. Originally from Uruguay, she brings a great appreciation for diversity and an understanding of how to create effective teams. As an avid reader and writer, she also helps companies align messaging to their vision and values. Experience: Director of Engineering at Groupon and Board Member of The Women’s CLUB of Silicon Valley. Formerly Director of Engineering at Shutterfly. Why Anu Gali should be on your board: Anu has extensive experience in building and scaling viral products for diverse markets. Using her strong software leadership skills combined with her focus on strategic business growth, Anu would be a great resource for companies building and scaling during periods of hyper growth. Experience: Director of Supply Chain at Wrightspeed and Board Member of Kids' Vision. Previously Group Manager for Core Technologies at Tesla Motors. Why Erin Sawyer should be on your board: Erin has a proven track record of disrupting and reinventing the automotive industry. Using her industry knowledge coupled with her experience with high growth and rapid expansion initiatives, she can help you scale operations to meet aggressive business targets. Experience: CEO of Landis & Co which focuses on providing advice to companies in the areas of strategic planning, capital raising, CEO mentoring, and security & resiliency. Dual UK/US citizen who has lived in five countries. Former senior roles at OCSiAl Nanotech, Citigroup Corporate & Investment Bank, Barclays, 9-11 Commission, UN World Food Programme, and the International Monetary Fund, European Bank for Reconstruction and Development, and US Treasury. Why Emily Walker should be on your board: Using her international network, capital raising background, and government and financial services experience, Emily can guide start-ups through developing a robust and due diligence-friendly corporate strategy and connect them globally for funding. Experience: VP of Product & Engineering at Prism Skylabs. Former software leadership roles at early to mid-stage startups, including experience in automotive, media, and AI. Why Katie McCann should be on your board: With her strong background in software product leadership in key industries including automotive and media, coupled with domain experience in AI, Katie can help early to mid-stage startups hone their product strategy, ensuring their teams are laser-focused on quickly and iteratively building solutions for their customers’ problems. Experience: General Counsel at ClearSlide, financial statements lecturer at UC Berkeley Law (Boalt Hall), and founder of numerous leadership trade and advocacy organizations. Advisory board member at TimeJoy and ChannelMeter, both early stage startups and leadership board of the Association of Corporate Counsel (ACC), San Francisco Bay Area chapter. Previously Assistant General Counsel at Zoosk, in-house Counsel at Visa, and Attorney at Wilson Sonsini Goodrich & Rosati. A widely recognized, prolific, and award-winning writer and speaker about legal, risk, technology, privacy, security, and workplace issues. 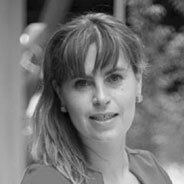 Why Olga Mack should be on your board: Olga is a recognized legal, HR, privacy, security, and operations strategic leader with strong communications skills. She navigates corporate transitions, such as expansion, contraction, leadership change, or regulatory changes with ease, grace, and credibility. She manages and mitigates risks and conflicts professionally and has very high financial acumen and a diverse understanding of technology landscape. Finally, her understanding of social, economic, technology, and regulatory trends assures that her strategies are rooted in a healthy dose of reality. Experience: CEO of SagaciousThink, a consulting firm specializing in strategy, business process engineering, post M&A integration, and change management. Instructor at UC Berkeley and Golden Gate University. Member of C Suite of Astia. Board Member of The Women’s CLUB of Silicon Valley. Previously Senior Manager at PriceWaterhouse Coopers. Member of NACD and in the process of securing her Corporate Director Governance Fellowship. Why LouAnn Conner should be on your board: With her leadership skills and financial acumen, LouAnn can help you with corporate governance, financial strategy, risk management, and global expansion. Experience: Founding Partner of Merchant & Gould's Silicon Valley office. Past President of the South Asian Bar Association of North America, Recipient of Best Under 40 by National Asian Pacific American Bar Association. Fellow of the American Bar Foundation. Previously a software engineer in the defense industry. Why Mansi Shah should be on your board: Using her legal and technical background, business acumen, and strong network, Mansi can creatively solve issues and provide strategies for increasing the bottom line. Experience: 20 years of experience working in consultative, strategic roles across a wide variety of organizations. In the last ten years the companies she’s worked with have raised over one billion dollars in investment funding, and seen nearly 15 billion in revenue from IPOs and acquisition activity. Why Maggie Harmon should be on your board: Leveraging her financial industry knowledge, strategic leadership experience, and deep understanding of market trends, Maggie can guide you through the challenges in communicating an offering, differentiating an organization in a crowded market, identifying the right audiences to speak to at the right time, and building the foundations for successful, sustainable long-term growth. Experience: Internet and Intellectual Property Litigation Partner at Procopio, Cory, Hargreaves & Savitch, LLP. 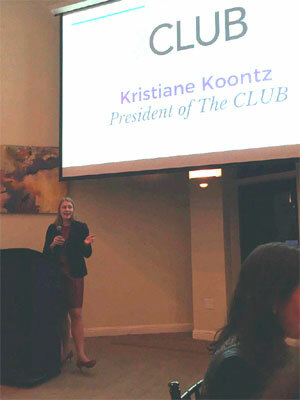 Board Member of The Women’s CLUB of Silicon Valley. Previously President of the Board of Trustees for the Santa Clara County Bar Association and President of the Board of Directors of Schola Cantorum. Why Mindy Morton should be on your board: Mindy is a business-oriented attorney with extensive experience serving on and leading nonprofit boards. She can help you with strategic planning and governance issues. Experience: Chief Communications and Marketing Officer with expertise in crisis communications at UC Santa Cruz, a large public institution with over 16,000 students. Previously a creative and digital strategist at UC Irvine. Why Sherry Main should be on your board: Sherry can guide companies using her deep experience in higher education leadership, brand management in regulated industries, and communications. She has a passion for connecting people through storytelling. While we’re incredibly pleased to highlight the above CLUB members, we know there are many, many other qualified women as well. If you’re a woman interested in board service, be sure to join The CLUB. 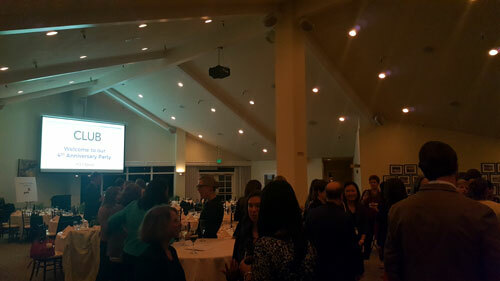 The CLUB provides a unique environment that offers the opportunity for women leaders across industries, and career stages, to connect and build a critical mass of women leaders in Silicon Valley. Also, check out The Athena Alliance, which is dedicated to advancing gender diversity in the boardroom. It serves as an extension of a board’s intimate network, introducing them to incredible executive women. At the same time, they are an essential part of a woman’s support structure, helping her overcome the ‘last mile’ barriers to board service. International Women’s Day (IWD) has been going for nearly 100 years. Although we may feel that awareness for women’s issues is growing, there’s also strong evidence of just how far we still have to go to achieve gender parity. If you were wondering whether it mattered whether to participate or not, then data from a study by McKinsey “Promoting Gender Equality in the Workplace” may well inspire you. Bottom line - women lag behind men by 15% to 25% in most gender-equal societies yet account for half of the global labor supply and 70% of the global consumption demand. Learn - at the International Women’s Day official website: https://www.internationalwomensday.com. Their hashtag is #BeBoldForChange, in support of creating a better, more inclusive, gender equal world. Strike – The ‘Day Without Women’ general strike is set for March 8th. This is a political event where the call out is for women across the United States to take the day off from their work, avoid shopping for one day (excepting women owned businesses), and to wear red as a sign of solidarity. Donate – make a donation to your favorite non-profit that benefits women – perhaps your local shelter, or to an organization that benefits girls and women. Meditate – there’s a call for 15 minutes of silence at 12.00 noon. This is a wonderful opportunity to reflect on the women who have made your life better, and to think about your own experiences. We’d love to hear how you observed International Women’s Day, drop us a line at info@clubsv.org. The CLUB is thrilled to announce Anuradha Gali, Director of Engineering at Groupon and LouAnn Conner, Founder & CEO of SagaciousThink, will join the CLUB’s Board of Directors in 2017. Energetic and engaged in her work and her community, Anu is a creative, award-winning and accomplished leader, an entrepreneur, a tireless mentor, coach and volunteer, and a loving wife and mother of two. A tech leader, Anu has built great engineering teams from the ground up and steered large-scale projects in web, e-commerce and mobile technologies for companies such as Groupon, Shutterfly and Adobe. In her spare time she founded and ran her own company, 32Skills, and continues to volunteer as a computer science instructor for GirlsWhoCode, a mentor for multiple Technovation Challenge teams, and as a mentor for First Lego League. Anu believes that the best leaders help others to reach their potential. She received her Master’s in Computer Science from the University of Illinois. When she isn't teaching her own kids to code she enjoys cooking and sharing good movies with her husband. LouAnn helps companies address their business operations challenges whether its small, medium companies seeking to expand internationally, or larger Fortune 100 companies requiring M&A assistance, business process reengineering, or strategy. 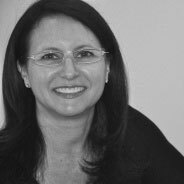 When she is not consulting, LouAnn is also an adjunct at local universities where she teaching intentional business and strategy, contextual environment of business, managerial analysis and team dynamics, and entrepreneurship. LouAnn has lectured globally on entrepreneurship and innovation. She serves as Golden Gate University's Small Business Program Director, where she develops programs and mentors alumni seeking to start their own businesses. She sits on the Board of Advisors for PulpWorks, a clean tech startup with a mission or reducing packaging related waste. 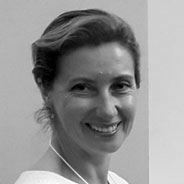 She mentors and angel invests in startups and serves on ASTIA's C-Suite Board reviewing companies on their viability. LouAnn has an undergraduate degree in engineering from Iowa State University and a MBA from The Johns Hopkins Carey School of Business. Anuradha and LouAnn will join existing board members Kristiane Koontz, Mindy Morton, Alice Katwan, Judith Coley and Laraine McKinnon to form the CLUB’s 2017 Board of Directors. As the year comes to a close, I want to extend a hearty ‘Thank You’ to board member Karen Catlin for her numerous contributions to the CLUB and our community over the past few years. Karen's impact on the CLUB during her three year term on the Board, including this past year as our Vice President, is significant and she's helped to shape the careers of countless CLUB members through her leadership. During her time on the board Karen presented at multiple CLUB events, oversaw initiatives around mentoring, programming and affiliate relationships and helped us to quantify our impact as an organization. This is going to be Karen’s last year on the Board, and while she’ll still continue to be very involved in this community I want to thank her, on behalf of the whole CLUB, for all of her contributions over the years. What accomplishment are you most proud of during your time on the board? I had a blast serving a 3-year term on the CLUB’s Board of Directors. As I look back, I’m proud of so many things that we accomplished as an organization. Some of my personal accomplishments include identifying how to measure the impact of The CLUB and coining the phrase “The CLUB Effect.” I also came up with the #womenhelpingwomen hashtag, which I use in tweets from @TheCLUBSV whenever I have spare room in the 140 character limit. I also want to mention The Big Read. Almost two years ago, CLUB member Judith Coley (who is now a member of our board) approached me about starting a book group. She proposed not only discussing books, but also publishing reviews of books by female authors under The CLUB’s moniker to both help the authors and build our brand awareness. And she had an awesome name for it: The Big Read. I loved Judith's idea and sponsored its launch. Little did I know that, about a year later, I would co-author "Present! A Techie’s Guide to Public Speaking” femgineer.com/present-book/ and The Big Read would write a review for its back cover. #womenhelpingwomen in action! What is your best advice for new CLUB members? · Search the CLUB membership directory to find people you can tap for advice or who can make introductions to people in their network. I recently heard from a CLUB member who did just this. She felt stuck in her current tech job and didn’t see much growth, and wanted an external perspective on her career to date and potential directions she could pursue. She found just the right person to talk to, a former head of HR at a large company, reached out, and had an inspiring phone call later that week. · Fill out your CLUB membership bio so that other members can find you when they need help with their career. · Come to each CLUB event with an “ask” - one thing that you need some help on. As you meet people, introduce yourself and make your ask. I’ve done exactly this many times. A few years ago, I had a goal to do more public speaking, and my ask was, “Please let me know if you hear of any opportunities to speak on a panel on women’s leadership or to give a lightning talk.” CLUB members started making introductions, and I received many invitations to speak as a result. What are you planning to focus on in your newly available time? I believe that when you make room in your life for new opportunities, they will come your way. And that’s definitely been happening for me. On that walk, I told my son that I wanted to serve on more advisory boards, to “pay it forward” and share my expertise, especially with organizations that are focused on women in tech and women in leadership. Literally the next day I got an email from a former colleague asking if I would serve on the advisory board for WEST (Women Entering & Staying in Technology). I’ll also be joining the advisory board for The CLUB, and continuing with my work as an advisory to Brown University’s Computer Science Diversity Initiative. Thank you Karen for your contributions to the CLUB! Angelika Ryan, Consultant at PwC, was awarded the Driver award for 2016. Angelika joined the CLUB late 2015 and immediately took on a leadership role as the CLUB’s 2016 Treasurer and Financial committee lead. Angelika is not only creative and detail oriented but also strategic in her approach. In addition to her significant ongoing Treasury duties, she undertook a complete revamp the CLUB's financial management practices to better position us for the next phase in our growth. The CLUB recognizes Olga V. Mack, General Counsel at ClearSide, with the Evangelist award. Olga is passionate about driving the success of women. Olga publishes spotlight articles on women leaders, and has founded and leads a national movement to increase female representation on corporate boards. This year Olga represented Silicon Valley women at The White House's "United State of Women." Olga also evangelizes for the CLUB throughout her public presence. Katherine Mendonca, an Enterprise Mobile Computing Solutions Strategist at Apple, was awarded this year’s Groundbreaker award. Using the Design Thinking methodology from Stanford, Katherine led an initiative to revamp our Mentoring program to better meet our members’ needs. Because of Katherine, we now have CLUBconnect, a program focused on making connections happen between members to facilitate tapping into our wide-ranging professional expertise. Last night nearly 100 CLUB members and supporters gathered to celebrate the CLUB’s 4th Anniversary at the Fremont Hills Country Club in Los Altos. 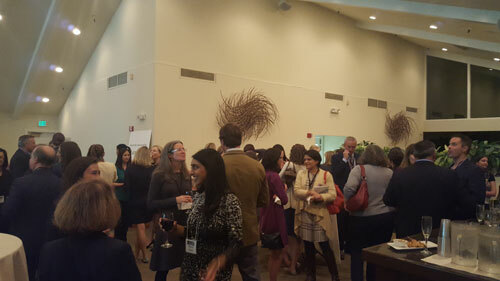 It was a wonderful evening filled with laughter, networking, great food and wine, and an inspiring keynote speech by CEO and Author Lee Caraher. At the event I also shared my reflections on the CLUB’s progress, the environment around us, and what that means for the coming years, and I’d like to share these thoughts with those of you who weren’t able to attend our celebration last night as well. I also want to echo again a giant thank you to our sponsors for the event, PwC, Procopio and Hausfeld, three wonderful organizations that really care about diversity and have sponsored multiple events for The CLUB in the past. Thank you also to all who brought donations of toiletries to the event, these will benefit the Women's Gathering Place in San Jose, a non- profit that assists homeless women. We’ve accepted over 170 new members into the CLUB year-to-date . Our community engagement has increased across the board, with over 87 events and small group gatherings held, including regular meetings at our CLUBhouse in Palo Alto, and regular walk and talks in Palo Alto, San Francisco, and the East Bay in addition to our regular quarterly programming. Our Incubator program, designed to help mid-career executives reach the next level, is going strong in its 2nd year with 10 phenomenal women. Incubator Alumni from 2015 have moved into leadership positions including with the CLUB and onto our board of directors. Our Big Read group which reads and reviews women’s leadership books, has launched a San Francisco chapter, reviewed and discussed eight books so far this year and is now publishing reviews of women's leadership books. Our mentoring program, now called CLUBconnect was redesigned to make it easier for CLUB members to tap into the collective expertise and wisdom of The CLUB. We launched our Thriving Workplaces initiative designed to identify and promote workplace cultures that foster inclusive environments and increased levels of women in leadership positions. We extended our lease on our CLUBhouse in Palo Alto through March of next year while also expanding the number of events held in San Francisco. 86% are inspired to grow their career. And the word about this is getting out – I’ve had many encounters this year where people have already heard about us and the work we are doing before I can even give them my pitch! In addition, I continue to hear other stories from our members of the ways they leveraged the CLUB to grow their careers and those of other women, including speaking opportunities, leadership roles, mentoring relationships and job placements. At the event we also unveiled the CLUB’s new branding and member portal. One of our goals this year was to update our visual identity to represent the CLUB in its growth over the coming years as well as to make it as frictionless as possible for our members to leverage The CLUB. 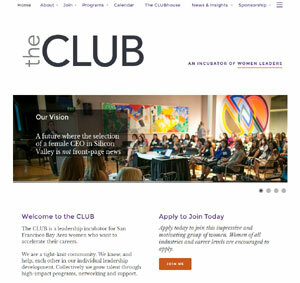 Check out our revamped website at www.theclubsv.org. In parallel, we are launching our new member portal which will make it much easier for members to manage their membership, participate in virtual discussions and learn about CLUB events, all integrated with our main CLUB website. This new member portal officially launches TODAY, so for all of you CLUB members please be on the lookout for an email invitation to the new portal. I think you are a really going to love it. Another important ‘Thank You’ goes to Karen Catlin, who has been a longtime member and huge supporter of The CLUB, including serving on our board for the past three years. Karan has spoken on numerous panel discussions and events and served as our Vice President this past year. This is going to be Karen’s last year on the Board, and while she’ll still continue to be very involved in this community I want to thank her, on behalf of the whole CLUB, for all of her contributions over the years. And now I’d like to look at the year (and years) ahead. In the coming year, we have a lot to do. I’m elated to see, across all levels of dialog in our media, the business community and social networks that there’s been a great improvement in awareness and sensitivity about the challenges women face with advancement in the workplace - even just in the past year. And yet, there are pervasive, systemic and sometimes unconscious biases against women’s advancement that still exist, across the country and right here in the Bay Area. I was hoping that today we’d be here celebrating that a woman broke the ultimate glass ceiling in the US, to become our president. But that didn’t happen, and we’ll have to wait a little longer for that moment. Despite that, and despite these challenges, I feel really strongly that the awareness and the momentum is here, and that we are at a tipping point. Our time is now. We need to continue to look for, and to help each other, find ways to translate this awareness and the zeitgeist around recent events into actionable gains for women. Help us grow our membership – reach out to and invite women who are ready to go places in their career to join this community of women helping women. If you have a budget for your team, consider sponsoring a package of membership in The CLUB for promising women. Take on a leadership position within the CLUB – these come in many shapes and sizes, from organizing an event to spearheading our fundraising efforts – and it’s a great way to give back to the CLUB community while making valuable connections and gaining additional leadership expertise for yourself. Our 2017 leadership drive is currently in progress, with applications due by the end of the month. For the women – Do at least one more thing to make yourself visible outside the CLUB community this coming year – let’s demonstrate how undeniably capable women leaders are, in mass, all of us. Whether this means speaking on a panel, publishing an article, or a stretch assignment at work. For those of you 12 or more years into your career, consider the Incubator program as a way to do this. We are part of a movement and our time is now. Lastly – for the men in the room - we need your help too. Spread the word about the CLUB to grow our membership and funding. Ask yourself what more you can be doing to help a woman in her career, whether it be stepping in and speaking up when you see unconscious bias at play, providing career mentoring or sponsorship, or giving that next stretch assignment to the woman on your team. Together, let’s make the next year and The CLUB’s 5th anniversary a year where women’s advancement is an undeniable fact. Our time is now. You joined us to accelerate your leadership journey and help other women on their paths. Now you have the opportunity to join the ranks of The CLUB's leadership team and/or committees and further your development and the CLUB's mission! We are launching our 2017 leadership and committee participation drive to find the next leaders and supporters for the CLUB. Board of Directors – We are seeking a few strategic thinkers who can further the CLUB's reach and also roll up their sleeves to provide leadership and oversight for critical CLUB initiatives. Managing Directors / Operating Committee – A Managing Director will be responsible for the leadership and performance of each CLUB committee, and collectively they comprise our Operating Committee. This leadership body meets once per quarter as a committee to facilitate coordination and synergies between each area, and once per quarter with the Board of Directors, in addition to any committee leadership meetings. Committee Directors – Committee Directors will lead key initiatives and programs within each Committee and will report into the committee's Managing Director. New this year we are looking for a San Francisco Events Director and a Palo Alto CLUBhouse Director. Community Leaders – help organize quarterly informal events for a subset of the CLUB community (e.g. industry, geography, and experience level groups). Applications are reviewed on a rolling basis and all applications are due by end of day November 28, 2016. To apply to leadership positions or to choose a committee to join in 2017, please fill out this brief survey by Monday, November 28th. We look forward to an exciting and inspiring 2017! Do you love your company? Tell us why or why not. Your input might just turn your company into one you can love. This 2 to 3 minute survey is the first step in the CLUB's launch of its Thriving Workplaces Initiative. Note, your input will be anonymous. Thriving Workplaces are those that provide more than just interesting work and competitive pay, they appeal to the whole employee by providing inclusive company policies, state-of-the-art benefits, flexible work options, wellness programs, community volunteerism programs, unconscious bias training and more. Thriving Workplaces are workplace cultures that are more inclusive environments which naturally result in increased women's leadership. Your input will help the CLUB establish a website that you, your colleagues, and Silicon Valley companies can refer to for benchmarking and best practices in establishing and maintaining a Thriving Workplace.